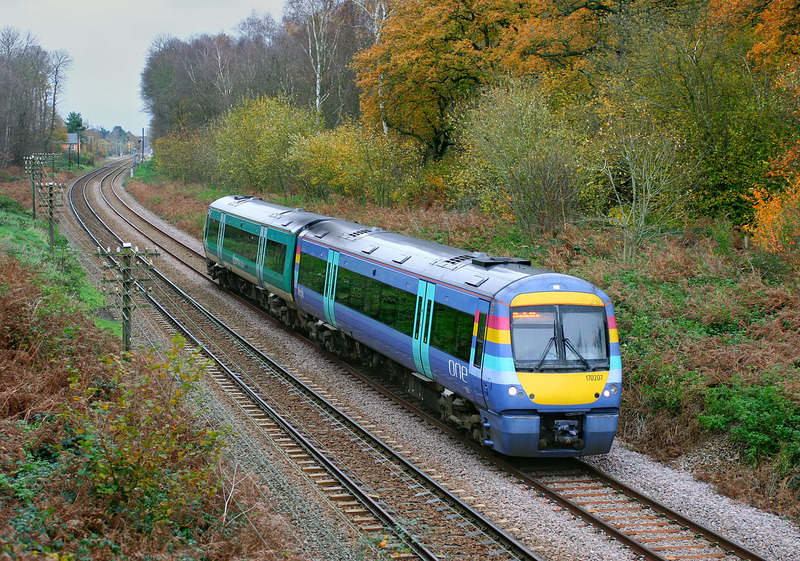 A hybrid set is pictured at Eccles Heath on 27 November 2006 working the 11:40 Norwich to Cambridge One Railway service. The front coach is from One liveried unit 170207, while the rear coach is from Central Trains liveried 170101. Eccles Heath is situated in the Breckland area, between Attleborough and Thetford.